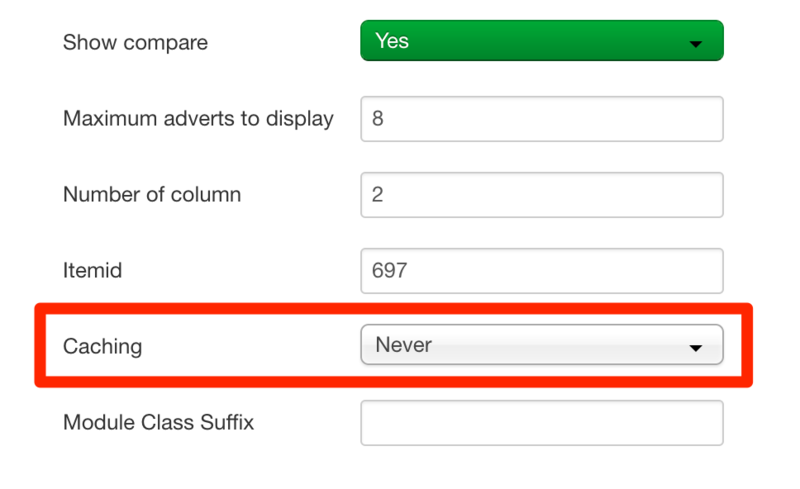 On Jom Classifieds - Adverts module, there's an option for caching, but this dropdown has only 1 option: "Never". We need to set caching for this module. What's the best way to accomplish this? Actually we forgot to remove this option in our last version and will remove this setting in our next version. Sorry you can't set cache for this module.